Thank you for a great season! We are closed for the winter and reopen May 2019. Please call us for information on booking your room or next special event! Lafayette Hotels of Boothbay Harbor have partnered with local solar company ReVision Energy to install grid-tied photovoltaic solar energy arrays at the Boothbay Harbor Inn and Tugboat Inns through the GridSolar Boothbay pilot project. 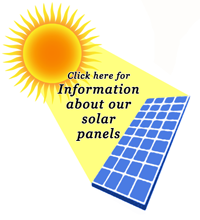 In 2014, 152 panels at Boothbay Harbor Inn produced 53,640 kWh of zero-emission solar power. This array offset 28.43 tCO2(metric tons of carbon dioxide) emissions. 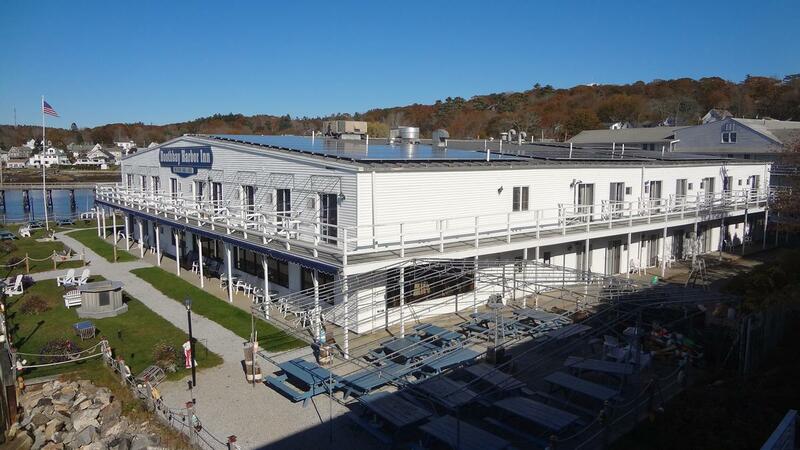 The 80 panels at the Tugboat Inn produced 25,726 kWh of zero-emission solar power and offset 13.63 tCO2 emissions. 15.1 tons of waste sent to the landfill. 1,753 propane cylinders used for home barbeques. 34.5 acres of U.S. forests in one year. * Source: “Greenhouse Gas Equivalencies Calculator” on www.epa.gov.